Remember there are so many entry options so everyone can participate. There are bonus entries for sharing. Have a great day, Thank you for stopping by! With two pages of supplies for each of my kids--any freebies would be helpful! 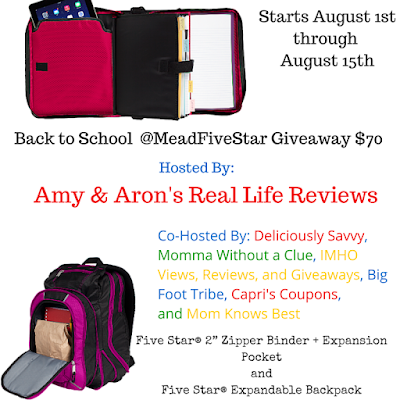 We love Mead notebooks! My sons would get these. Thank you for the giveaway.